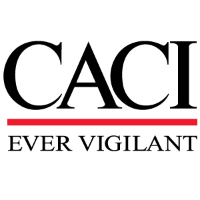 CACI has an exciting job opportunity for a Task Lead at AFCENT NOSC Lackland AFB. Work with other contractors’ Team Leaders and the Government Contracting Officer’s Representative (COR) to accomplish Government requirements, goals, and mission objectives as efficiently and effectively as possible. This shall include, but is not limited to, sharing or coordinating information resulting from the work required by this SOW or previous Government efforts and working as a team to perform tasks in concert. Assist other active duty, government civilians, and contractors assigned to the same functional areas to raise the level of proficiency and effectiveness of the team performing that function. Prepare and disseminate operational reports. A list of operational reports shall include, but is not limited to, AF Computer Emergency Response Team (AFCERT) daily operations report (DOR), operation report (OPREP), and situational report (SITREP), incident response, law enforcement, and recovery operations reports, Information protection bulletins (IP Bulletins), AFCERT Time Compliance Network Orders (TCNOs), malicious logic/virus notifications, INFOCONs, and other messages. Conduct network security monitoring and intrusion detection analysis using the AFCENT/CENTCOM security tools to include but is not limited to IDS/IPS, firewall, proxy, router logs. Mission-specific operational training (i.e., process/procedures and checklist familiarization) will be conducted by the government to maintain operational proficiency. The contractor shall be trained, tested, certified, and periodically evaluated by Stan/Eval processes IAW operational position requirements. Research Net Defense (NetD) events to determine the necessity for deeper analysis and conduct an initial assessment of type and extent of intruder activities. Enters event data into mission support systems according to operational procedures and reports to meet AFCENT mission/tasking. The contractor shall produce a Suspicious Event Report (SER) for suspicious traffic meeting established thresholds. These SERs shall contain sufficient information to facilitate future research of suspicious traffic. The SERs shall answer the who, why and when for this suspicious activity. The contractor shall compile SERs and other artifacts to support event escalation to Incident Response. Provide pass-on information to bring incoming crews up to speed on latest suspicious traffic seen from a given port, IP, etc. The contractor shall coordinate with the Crew Commander for authorization before departing after pass-on to incoming shift. Provide reporting and computer security-related assistance to AFCENT Network Operations & Security Center in countering vulnerabilities, minimizing risk, and improving the security posture of CENTCOM computer networks and systems supporting AFCENT’s operational requirements and mission execution. Provide focused NetD, tailored analysis and monitoring operations of specified sensor locations during contingency operations and in support of named NetD operations and exercises. This position requires a formal education commensurate with the level of military contemporaries. Briefs at the general officer level on IT projects, upgrades, and specific issues.